A long time ago, a young man died a violent death, leaving His followers devastated. That young man was Jesus Christ, the Son of God, who rose triumphant from the grave, whose death on the cross is the only real hope for a lost and fallen humanity. In a world full of division, hatred and wars, it is the cross of Christ alone that can bring about true unity and peace among men. Pride is at the root cause of these hostilities, and it takes many forms. People take pride in their birth and race, deeming themselves superior to others who are not like them. There is also pride of possessing power which causes tension between the “haves” and the “have nots”, the employer and the employed, those who govern and the governed, among other things. There is pride of intellect which causes the separation between the “Greeks and barbarians”, the wise and the unwise, the educated and the uneducated. Peace involves love, sympathy and understanding, but the world is incapable of producing true peace because the problem is in the heart of man, not his mind. Pride is a formidable power in this world, and none of man’s own inventions can deal with this problem. The only thing in the world that can bring peace and unity among men and women is the cross of Christ. How is this accomplished? First, the cross shows us the reality about ourself. We are prideful beings, thinking we are always right and it is always the other person’s fault. But the cross of Christ humbles us when we consider why Christ came into the world. He came because we cannot save ourself, He came “to save that which was lost”. The cross tells us that we are complete failures who have missed the mark, and that Christ came to die on the cross so that we can be made right with God. Second, the cross reveals to us the truth about others. 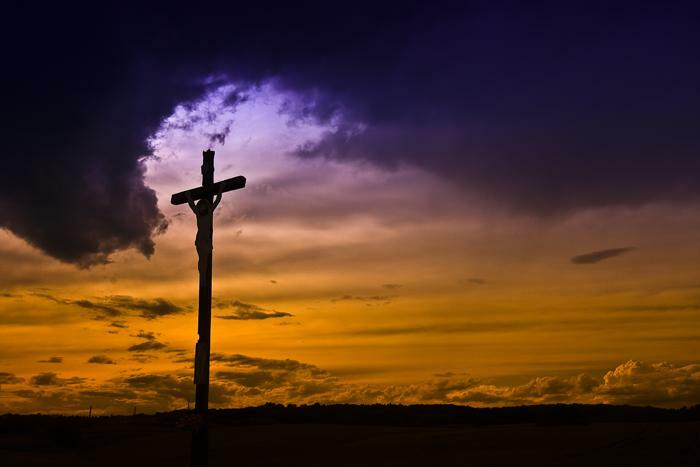 The cross shows us that other people also have souls, and that it does not matter what the color of their skin is, their economic status or level of education, we are all alike. We all have sinned and come short of the glory of God. We are one in sin, in failure, in hopelessness and helplessness. The cross unites us in every respect. In our failure and helplessness, we receive the same forgiveness, being equally made the children of God, sharing the same divine life. We rejoice in the same Redeemer who has broken down the middle wall of partition between Jew and Gentile, who has torn down the barrier between us and our fellow human beings. God forbid that we should boast about anything, except in the death on the cross of our Lord Jesus Christ. Your post is an emphatic statement about the power of the cross. I think we need to hear how it truly unites us. Thank you for a Sunday morning lift. Truly all of mankind is at the same footing at the cross. Thank you so much for dropping by my site and for sharing your thoughts. I appreciate it a lot! Thank you, Cindy. The love of Christ truly is uplifting and humbling at the same time. Thank you Lord for the cross, and your sacrifice… to unite us with you! Amazing and thanks for sharing these thoughts today. The Lord bless you. Amen! Thank you for stopping by, brother. The Lord bless you, too! Without Him, we have utterly no hope…with Him, we have utter victory in all things! Great words of our Savior’s sacrifice and gift to us, Dee…thank you! Amen, Lester, without Him, we have utterly no hope, with Him, we have utter victory in all things! Thank you and God bless! Race, gender, and all other things perceived as differences between people are nothing in the light of the only difference that matters: whether we the Person of the Cross living within us or if we are still searching. Good post. God bless! Thank you so much, Eric. God bless! Thank you, Juneth! You are very welcome to share this on FB! God bless! Thank you for commenting and for visiting my blog! Thank you for visiting my blog! God bless you! Pastor Gil, I am in the process of removing all your comments right now. God bless.